Would you love to make a healthy breakfast or snack that doesn’t scream, “HEALTHY?” How about one that is easy to grab on rushed mornings, easy to freeze and one the kids will love? How about a healthy breakfast cake? 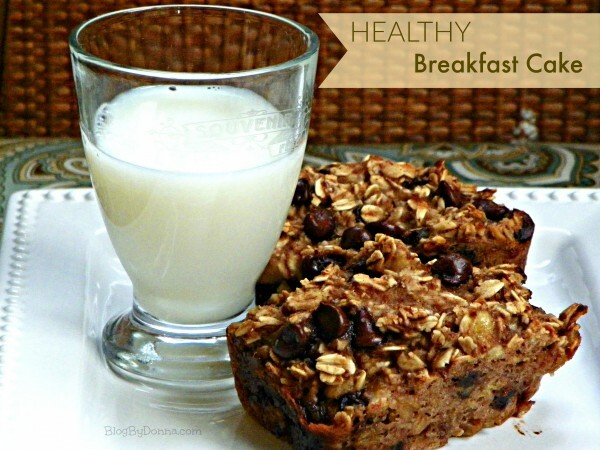 These Healthy Chocolate Chip Breakfast Cakes are what you have been looking for! They are gluten-free, dairy-free, easy to prepare and the possibilities for customizing them to your tastes are almost endless. The perfect breakfast cake! Preheat oven to 375 F. Prepare mini loaf pan with cooking spray or your choice of oil. Personalize to your taste with the addition of nuts, dried fruit or shredded coconut. Stir well and fill loaf pans. The cakes do not expand much when cooking, so you can fill them pretty full. You could also use cupcake pans. Bake 20 minutes or until toothpick comes out clean and cakes are set. Eat warm or cold. As there are no preservatives, refrigerate or freeze leftovers after one day. I don’t know about you, but I love making something I can freeze for an easy, quick breakfast. Heck, you could eat this anytime. And I really love something healthy that my son will eat. Plus I get my chocolate fix. Win-win. Do you have a favorite healthy (that doesn’t seem healthy) breakfast or snack food? If you click through one of these links and buy something, I’ll earn some money, so thank you. I havent thought of that. I love chocolate chip and oatmeal!! Ooh I have to stop being so lazy and start making more healthy recipes, everything I’ve made lately hasn’t helped our ‘losing weight’ goal, lol. I like to reach for those Nonni’s Biscotti Thins for a healthy snack. Thanks so much for sharing!!! I bet my girls will love to make this! Wow this looks like a great recipe to try! I am always up for sweet treats that are healthy and I don’t have to feel guilty about eating! I LOVE sweets for breakfast – this would be a great way to get the sweets and be healthy. Yummy!!! That sounds so good. I have to try this. It sounds like an energy bar. I have such a sweet tooth and love stuff like this for breakfast! Oats, banana, and chocolate is my favorite food combo!!!! You have made it ok to have chocolate for breakfast! If you use gluten free flour instead of bran this would be a good gluten free breakfast, too. We could really benefit from having a grab and go homemade breakfast solution on hand. Our mornings seem to get busier and busier! There are very few ways to get my husband to eat oats, and I think they are a food from Heaven. I am going to try these and see what he says! Looks delicious! Sadly most of my favorite snacks are not healthy. I love eggs for breakfast though, and they are pretty good for you. I was just looking for a healthy cookie recipe today! Thanks for sharing. Those sound amazing! I have been so bored with breakfast lately, so thank you so much!!!! They are quick and healthy, just what we needed! God bless! I’m always looking for healthy alternatives and this looks delicious! Thanks for sharing! Oh snap these sound awesome. I am pinning for later, thank you!!! That looks so good! You’re making me hungry. These look delish! Love that they’re healthy too! Homemade breakfast smoothies are an indulgence that I like to enjoy on occasion. Your little cakes look wonderful. I love that they are gluten-free. Oh my my.. That looks soo yum!! We often have muffins for breakfast. They don’t always have the healthier ingredients like this recipe you shared but they are homemade, filling and good. It’s hard to have a breakfast on-the-go that is healthy. This looks like a great option! The name says yummy the ingredients says healthy that is a great combination. I bet this would taste so good with a nice glass of cold milk, yum! These look so delicious. I bet they would freeze well too! Yay! Chocolate chips for breakfast! That looks so good, and the fact that it’s healthy makes it even better! These sound so amazing! I can’t believe they’re gluten-free AND sugar-free! Those actually look great! We might have to try them this week – thanks! 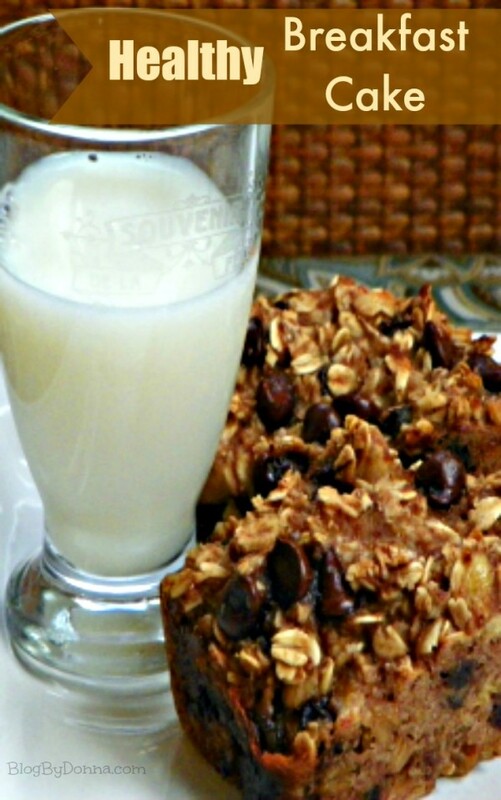 These breakfast cakes sound yummy and easy to make! I’ll have to make a batch and see if hubby will help me eat them! these are making my mouth water. i had to pin this to pinterest, because somehow i know i’m going to want to show everyone! i think my son (and i of course) are going to love these..and i like that they’re GF and DF because it’s a big problem nowadays! Ooh these would be perfect for my son- he hates eating breakfast unless it’s something packed with chocolate chips, which *usually* doesn’t mean healthy. Thanks for the recipe! Other than a healthy morning smoothie, I have never seen such a delightful recipe for breakfast or any other time of day. I know my entire family will love these. Yum! Anything that can be healthy and still include chocolate is a winner in my book. These are perfect for an the go breakfast. I’m all for anything that is healthy and lets me eat chocolate in the morning. I will try this out as it looks so yummy yet healthy. Thanks for sharing! I haven’t ever had anything like this before, I will have to give it a try! It sounds delicious! Thanks for the Post, Picture’s and the Recipe! I make cookies for breakfast sometimes. This looks so incredibly healthy and delicious! Living in the tropics, a fruit platter of mango, pineapple and papaya is the ideal breakfast for me. Hi! I’m stopping by from the Lovely Ladies Hop. Your recipe caught my eye! I’m always interested in healthy gluten free food. I’ll have to give this a try. Now that is a nice way to start a morning! Delicious! Yum! These looks fantastic. I make baked oatmeal banana chocolate chips muffins and we love them. I’m going to have to give these a try. Coming by from The Weekend reTreat! WOw this looks so yummy! The ingredients are all healthy so thats a wonderful bonus. Pinning, thank you so much. I hope you’ll give it a try… I know you’ll love it! I will be sharing this recipe with my daughter in law tomorrow when they come over for dinner my granddaughters (2) have problems with gluten and they talk about missing muffins and these would be great for them. and besides they sound great for all of us to enjoy..
What a great idea 🙂 My kiddos would love this! Thanks for linking up to Freedom Fridays 🙂 Pinned and shared on FB! I love Kale chips and roasted garbanzo beans! YUM. Chocolate for breakfast and healthy even! Yes please! They sound delicious. Ohhhhhhh now those look GOOD! And I think I saw the word healthy too?? 😉 Definitely have to pin this for later! Thanks for sharing! Yum! These look amazing! Sounds awesome! Great recipe!